Data is the most important element for any organization to scale its performance and make influencing decisions for organizational growth. However, managing data becomes one of the most complex things in mid-level organizations. For this, they have to take help from different tools along with specialized people to manage and analyze data for improvements. Keeping this in mind, there are many companies around the globe who have developed ETL (Extract, Transform, Load) platforms to make this process more convenient. Here, we are elaborating two of the leading ETL platforms that can simplify the management and analyzing of company data. 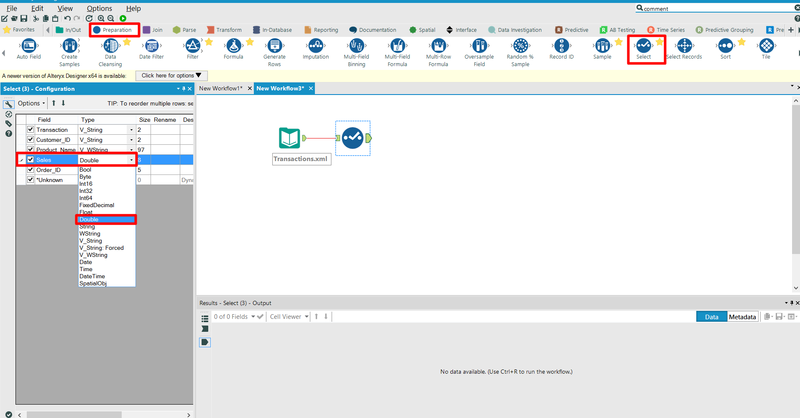 Why use Alteryx with Tableau? 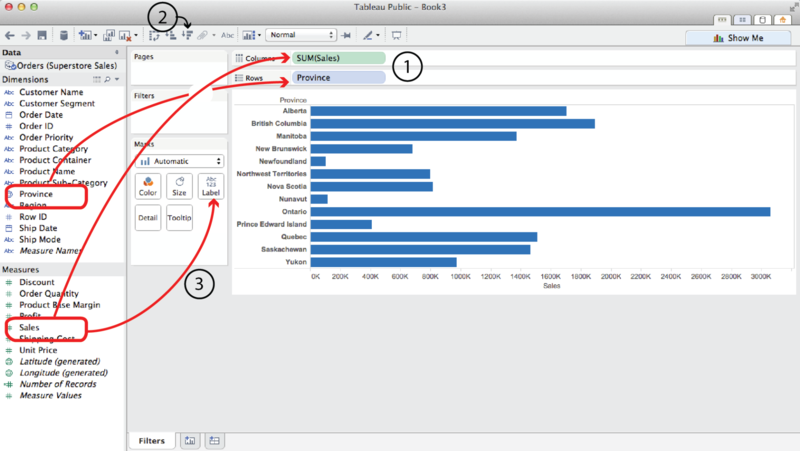 Tableau is undeniably a powerful software to collect and analyze data from different sources. It's easy to understand visualizations answers to your every complex question and helps you in making right moves. But, with the evolution of technology, new data types have also emerged (for eg: social media and big data). Gathering and analyzing the array of this newly emerged data to make critical business decisions is not a piece of cake. It will require specialists and extended-IT staff to get this task done. This is where Alteryx came in, as you will not have to wait even a bit to access and analyze the datasheets you need with the help of it. 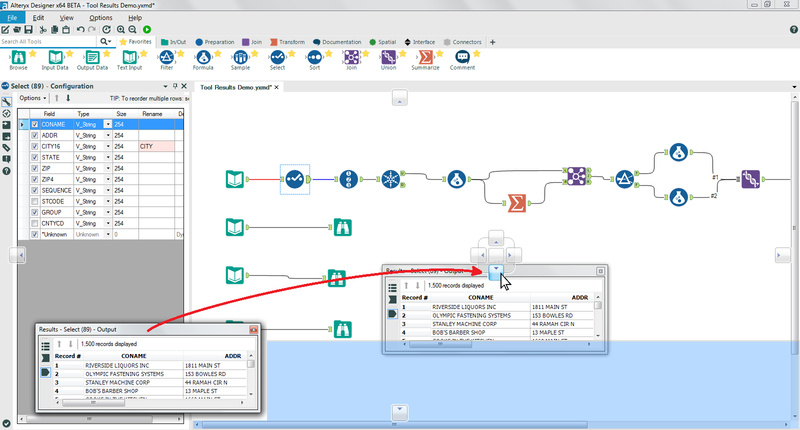 Alteryx allows you to integrate every data source from any location virtually. It then combines the data sources with third-party location-based, spatial, demographic data and arranges them into a single workflow. It provides you with the best set of data available to analyze it with the help of Tableau. And you don't need data scientists or specialists for this. 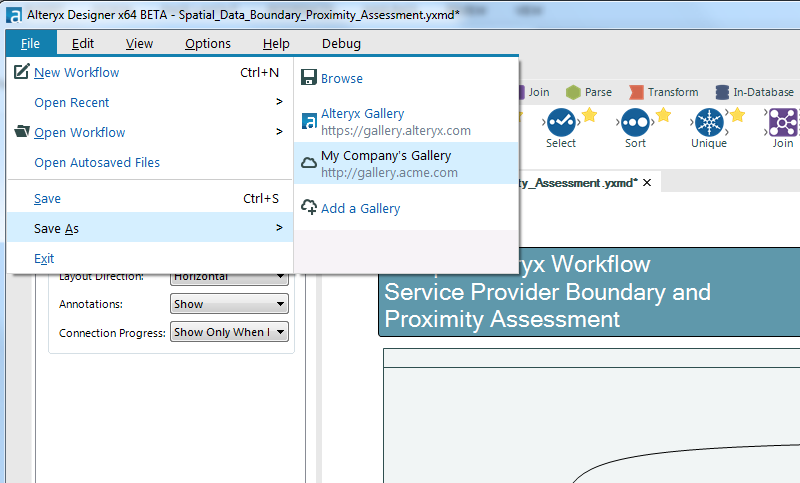 Product Info Alteryx is basically a smart data analytics software that blends modern data (i.e. social media) collected from different sources and showcases it in the best way possible. Tableau is an online application that collects data from different sources and offers great data analytics to help businesses make better decisions. To use Tableau, you will first have to make an account and subscribe it to move further. After getting all the formalities done, you will then be ready to move further. Open Tableau Desktop, you will see a starting page, then simply follow the below given steps to dodge every hurdle in your way. After getting on the start page, first thing you will have to do is connect your data. For this, you will need to click on the Tableau icon present at the upper left hand corner of the page. It will showcase you a sidebar where you will get different data types present at different places to connect. While creating an analytic chart of overall sales data, you can simply drag and drop different elements to make your work done with ease. 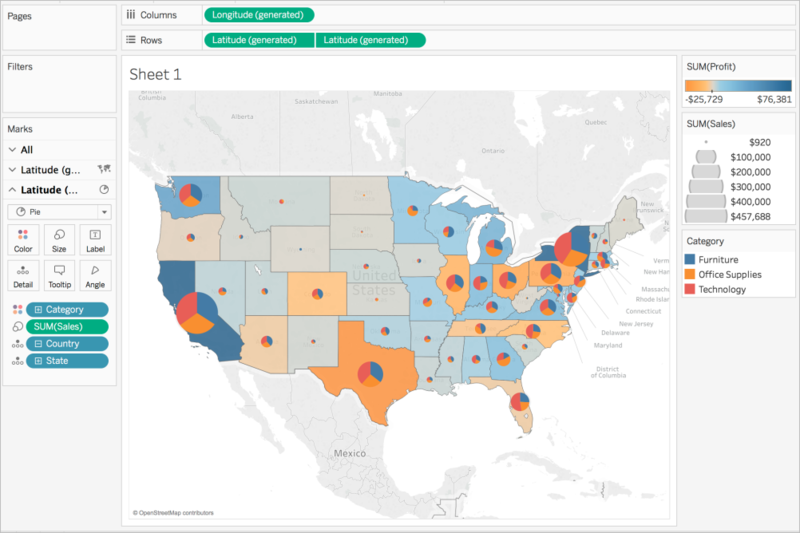 You can have more focus and get more precise results by using Tableau. It gives you the facility to add different filters and use different colours to showcase your findings of different data types in an analytic chart. 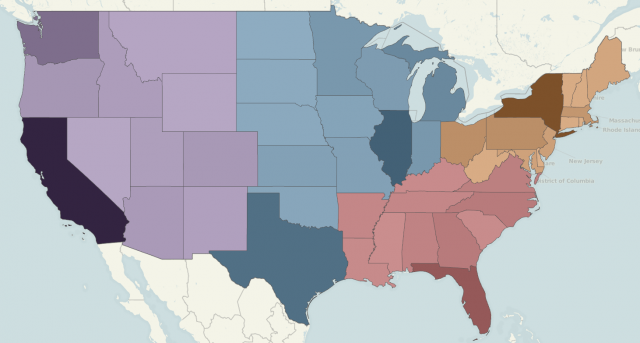 You can simply build a map view to trace your data geographically. By this, you can simply compare the sales and other things countrywise, and can take many revolutionary decisions by analyzing it. After getting a countrywise overview, you can also go deeper in the country data that found to be negative in profit rate. Go deeper and see the analytic chart of that specific region itself to get some actionable insights. After creating different analytic sheets for different areas, you will now need to showcase all of them together to take out negative points. Tableau offers you an ability to create your desirable dashboards which can help you in representing all the analytic charts at once. Before consulting your plans with your team and indulging them in a powerpoint representation, you can choose a better and wiser path to follow. 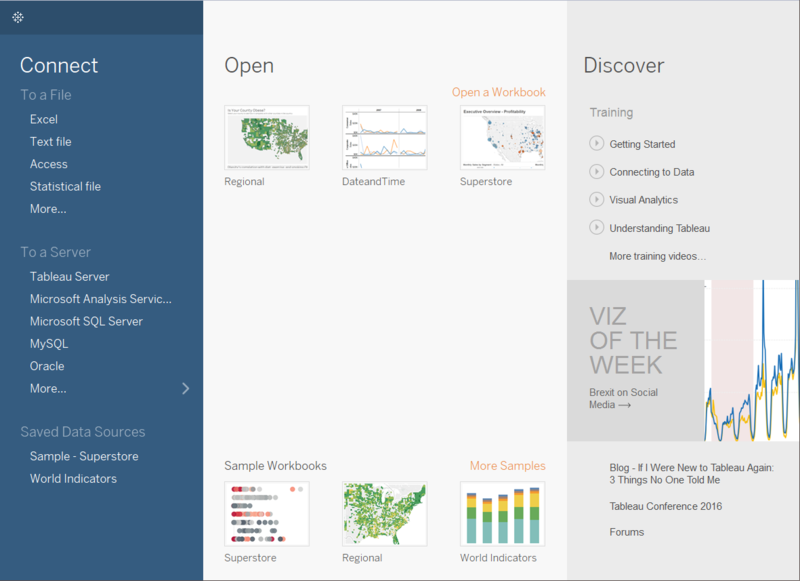 Tableau enables you to make stories for better understanding. You can easily create your own story for your plan, product or services, by which your teams will understand better. After getting all the work done, you can also share your results and findings with your teams sitting at different locations with the help of Tableau Server or Tableau Online. 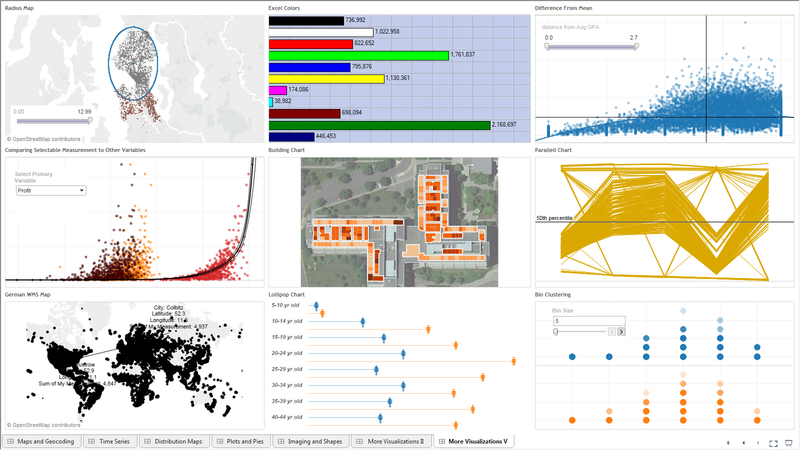 After getting all the work done, the Tableau Library can teach you many other things that can help you in future projects or works. Inspired by most of the windows based applications, file navigation is executable from the windows button. Common tools are arranged in this section just like any other web application. The Tool Palette in Alteryx consists all the tool names along with their images, that can be used for any operation. 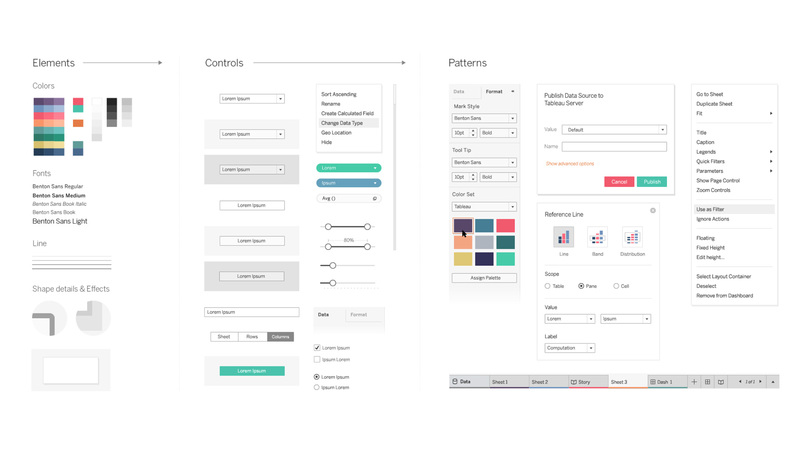 To use any tool, user will just need to pull it out in the canvas to make a workflow. The area where workflow is built or made up can be termed as a Workflow Window. This arena can also be termed as a Workflow canvas. The Properties Window provides different options, that are relevant to configuring the specifications for each and every tool bought into the workflow. Moreover, it also works the same for the entire workflow itself when no tool is selected. It automatically adapts the sections within workflow. 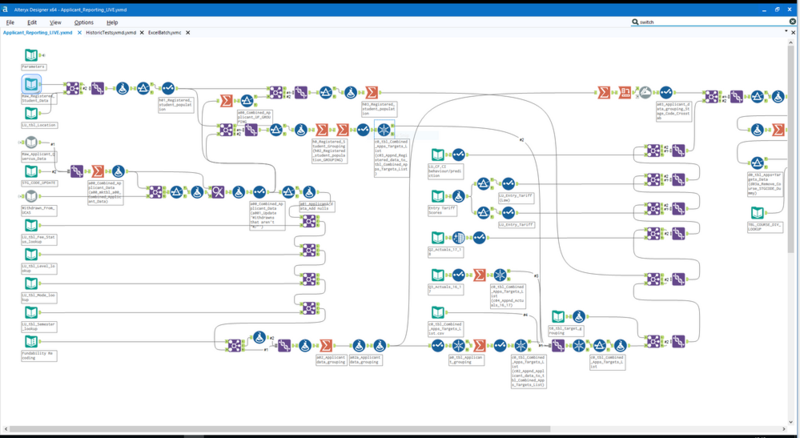 The Overview window in Alteryx offers a scaled down image representation of the entire workflow, which can be used for getting more deeper into the workflow. As its name represents, it shows the status logs to the workflow with the help of reporting messages from each and every tool. It gets visible on special occasions such as at the starting of a workflow, at the end of the workflow, while having an error or warning, etc. Apart from this, after getting registered with the Alteryx, the File menu (File > Open Sample > Open Tutorials) will showcase you 8 step by step illustrated examples. These examples will teach you how to filter, how to build a workflow, how to author an app or a marco, and how to blend and analyze data. How to prepare address files in Alteryx for use in Tableau? Tableau has fair geocoding and mapping functionalities that can help you in managing your data, still these are not up to the mark. This is where Alteryx comes in, as it comes with ravishing address tool to make your work easier than ever. We can understand this more deeply with the help of an example. If we process a set of data with address in Tableau, it will not recognize addresses as a geographical feature. You will need to use longitude and latitude of a specific point to make Tableau recognize it, which is simply a very time consuming and hectic process. Now, Alteryx, as we have already mentioned above packs a specialized suite of address tools including Street Geocoder and CASS. This suit will help you in transforming a longitude and latitude format automatically without any hustle. By using these tools, you will be able to make address files in a .tde format which is easily accessible in Tableau. Saving files in .tde format (i.e. Tableau Data Extract) will simply enhance its performance in Tableau. By using this technique, you can easily create executable address files in Alteryx to use in Tableau. Firstly, you’ll need to download “Publish to Tableau Server” tool from official website. After downloading it, you need to install it, so that it may appear in tool palette of Alteryx. 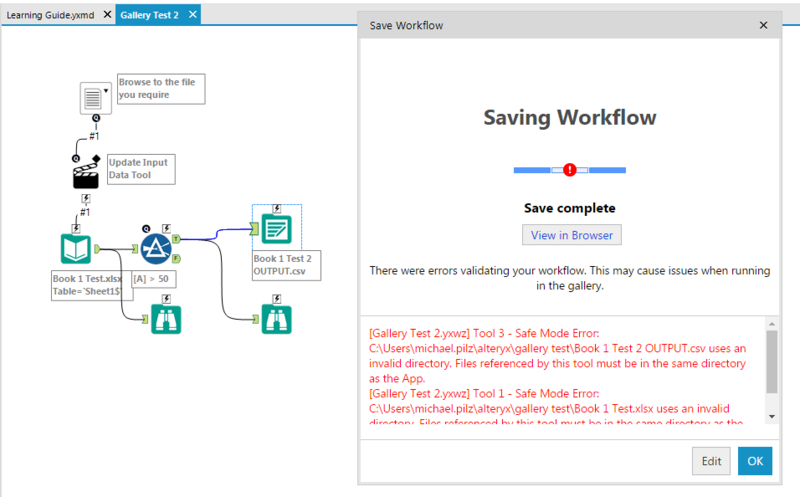 Open Alteryx, make a new workflow. Drag the Input data .tde file you want to share. Search for the “Publish to Tableau Server” tool into the search bar and drag it to the workflow canvas. Make a connection between the “Input Data” and “Publish to Tableau Server” tool. 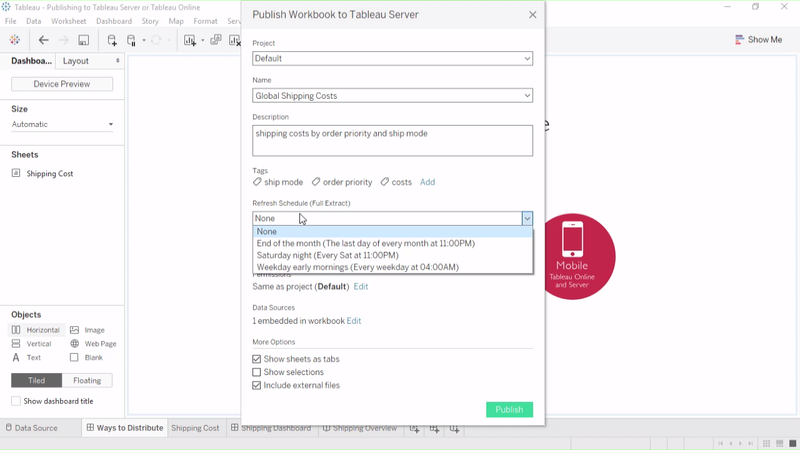 Select “Publish to Tableau Server” tool and enter all the essential information (i.e. Server name, site name, username of Tableau server, password of Tableau server, file name, project name). Moreover, you will also need to change the Alteryx output properties to “Overwrite Existing Extract File”, as it is not a default option. By this, you will get updated data every time in Tableau without any hustle. Tableau and Alteryx both are known as the leading platforms in the field of data analytics. 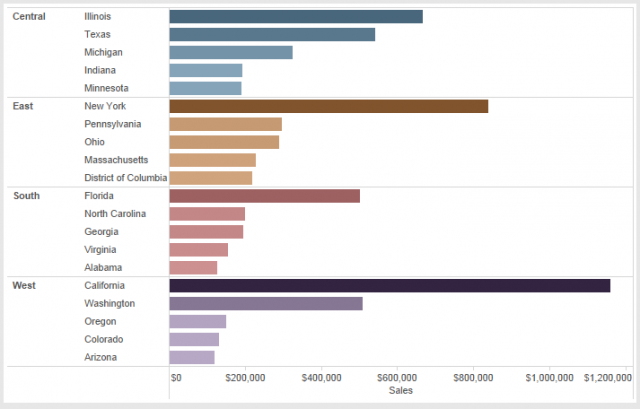 Tableau is a great tool to collect and visualize data to make great business decisions by analyzing them. However, with the reference of time, different data types have emerged that are important but are complex to study and analyze. 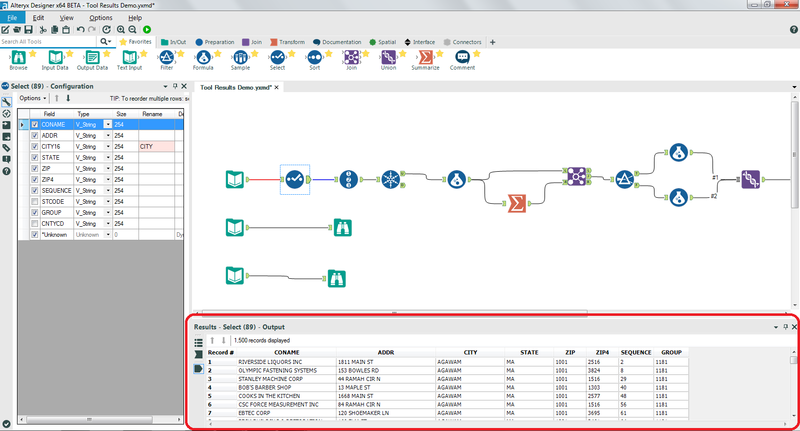 Alteryx plays a vital role in blending modern data types so that you can use it in Tableau. Both these platforms have their own importance, but using them together will undeniably create a masterpiece, or we can say an art of managing complex data. As a Senior Writer for Mindmajix, Saikumar has a great understanding of today’s data-driven environment, which includes key aspects such as Business Intelligence and data management. He manages and the task of creating great content in the areas of Programming, Microsoft Power BI, Tableau, Oracle BI, Cognos, and Alteryx. Connect with him on LinkedIn and Twitter.